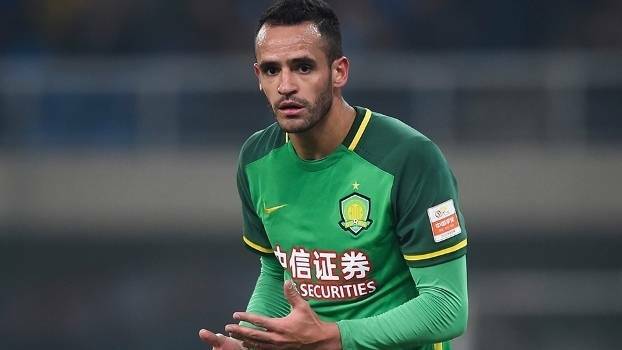 Beijing Guoan midfielder Renato Augusto has been selected for Brazil’s World Cup campaign, the team’s head coach Tite confirmed in a recent interview. Former Guangzhou Evergrande footballer Paulinho, who has joined Barcelona in the Summer transfer window, was also named by Tite as one of his “key players” for the upcoming World Cup, which will be held in Russia. The 56-year-old manager refers to Renato Augusto and Paulinho as two of his 11 normal starters, along with goalkeeper Alisson (AS Roma), right-back Dani Alves (Paris Saint-Germain), left-back Marcelo (Real Madrid), centre-backs Marquinhos (Paris Saint-Germain) and Miranda (Inter Milan), midfielders Casemiro (Real Madrid), Philippe Coutinho (Barcelona) and Neymar (Paris Saint-Germain), and centre-forward Gabriel Jesus (Manchester City). Tite also adds centre-back Thiago Silva (Paris Saint-Germain), midfielder Fernandinho (Manchester City) and Willian (Chelsea), and striker Roberto Firmino (Liverpool).